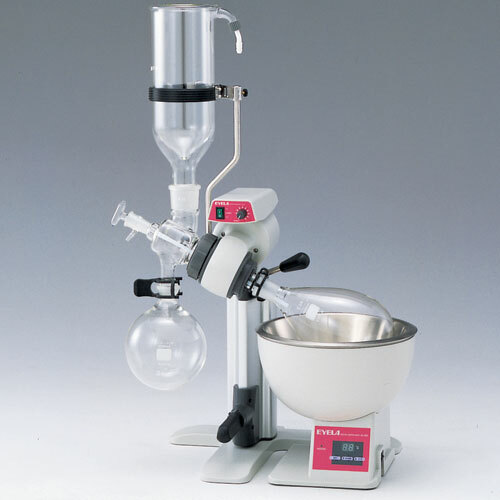 N-1001T-W Rotary Evaporator - Oasis Scientific Inc.
volume, with a 50ml to 1000ml evaporating flask range. · Base, jack, glassware, and bath are made in compact design. The existing glassware components can be interchanged. sample flask through the capillary feed tube. · The Dewar condenser is designed for low boiling point applications. organic solvents with low boiling points. NS 24/40), Glass capillary (Inlet feed tube, 27” (685mm), NS19/40 Teflon tube), SB-1000 digital water bath. for more details), CCA-1111 Recirculating Chiller (click here for more details), Teflon Vacuum Seal (click here for more details).